On August 10th, artworxLA joined Los Angeles Metro Authority at the KAOS Network to discuss preliminary designs for an upcoming mural in Leimert Park. This introductory meeting gave mural participants a deeper understanding the rich artistic history of Leimert Park, while expanding their knowledge of the design process. Throughout the afternoon, mural participants met with Amalia Merino (Metro), Kinya Claiborne (Metro), Michael Alvarez (artworxLA Teaching Artist) and Ben Caldwell (KAOS Network Founder). 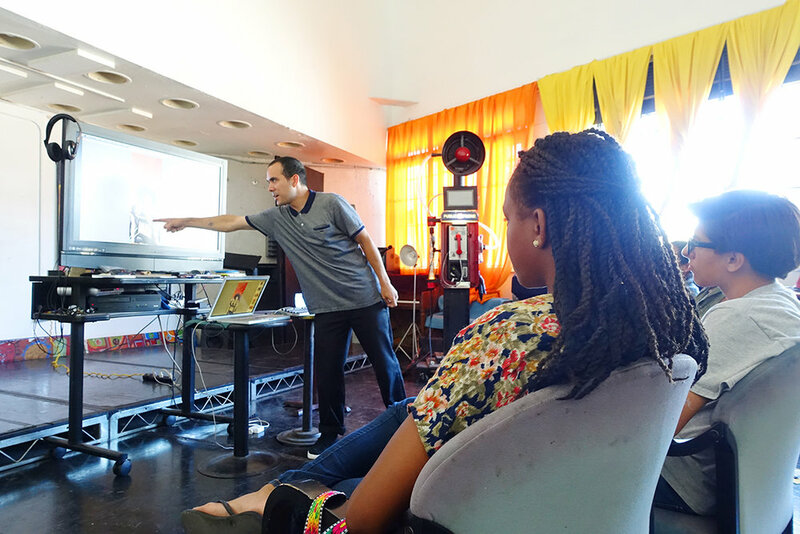 Speakers provided in-depth presentation and a hands on tour of Leimert Park to prepare each participant for completing this unique mural.